Start of FALLER’s new building-block system. 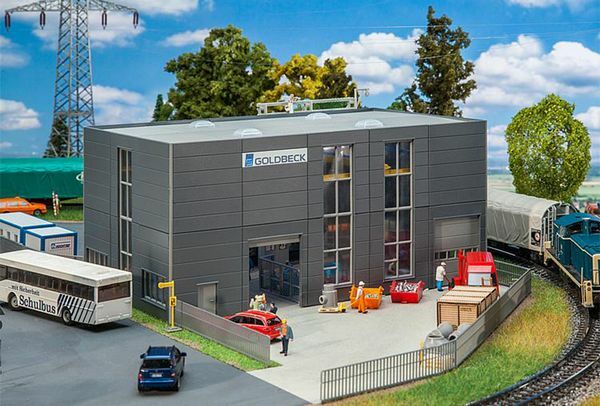 Individually configurable and expandable model of a production, carrier or storage hall according to originals erected by building contractors GOLDBECK. All parts forming the basic hall such as steel structure and supports, wall and roof elements, strips of windows and rooflights, rolling shutter doors which can be fixed in the open or closed position, and the travelling trolley within the hall can be arranged at will and complemented with other compatible elements of the series.